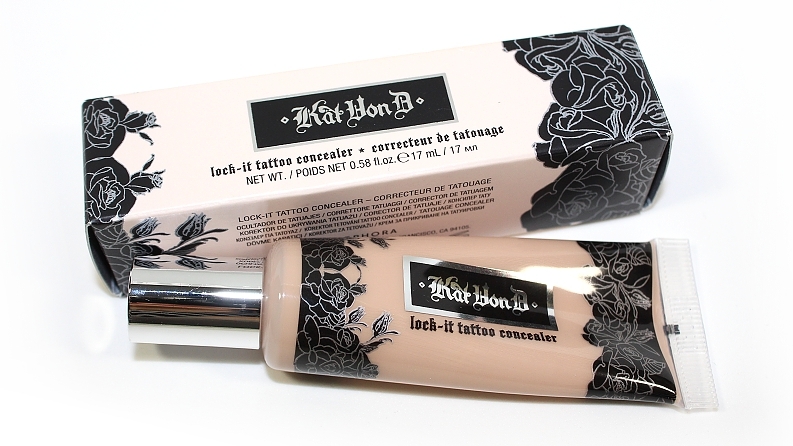 Kat Von D Lock-It Concealer (0.58 oz.) retails for $25 USD ($31 CAD) and is available in 9 shades. It is said to be "a heavy duty, highly pigmented, transfer and water-resistant, multitasking concealer." 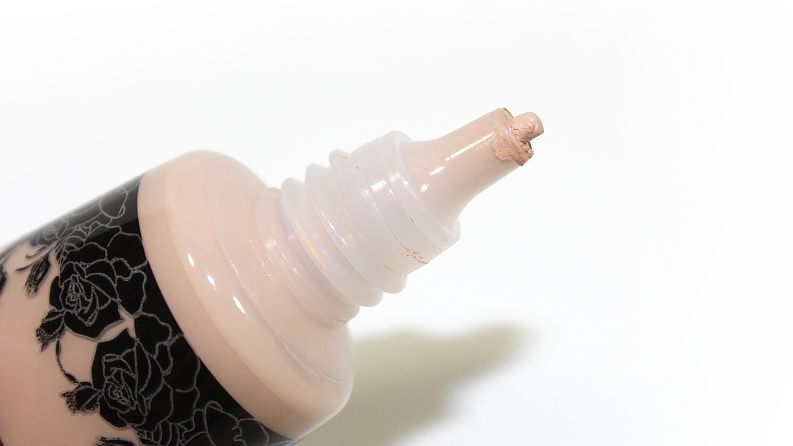 * My Shade: Light 16 is described as a light complexion with a pink undertone. 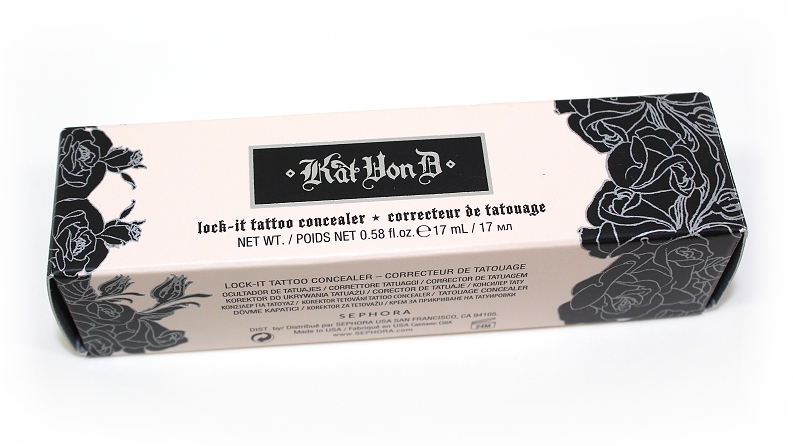 "Kat Von D Tattoo Concealer is a creamy, blendable secret weapon that provides the ultimate, customizable coverage, in four simple steps: prep, conceal, perfect, and set. The four-step process hides tattoos, dark circles, and blemishes alike! This oil- and paraben-free, long-wearing formula is perfect for any occasion that calls for a flawless look. 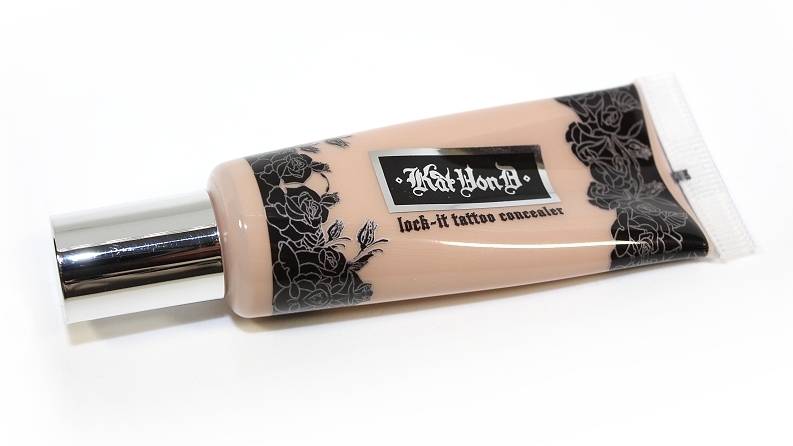 Kat says, "If you wanna hide a tattoo just for one day, the proper concealer can make that happen! No one has to see what you don't want them to see!" This is your ticket to tattoo freedom!" The packaging is a generously sized, plastic tube with a needle sized nozzle that disperses the product by squeezing the tube. This type of packaging really cuts back on the amount of wasted product when compared to other concealers that have applicators or pumps to disperse the product. This concealer is also oil-free, paraben-free and despite the fragrance-free claim, I found it has a quite strong, heavy makeup scent. The texture is a soft, creamy consistency—not too thick, not too thin. It is a heavier concealer, so you can definitely feel it on your skin. With a light application, as if you were applying concealer normally, it has a medium-full coverage that is buildable. When layered to a very full coverage (ie. 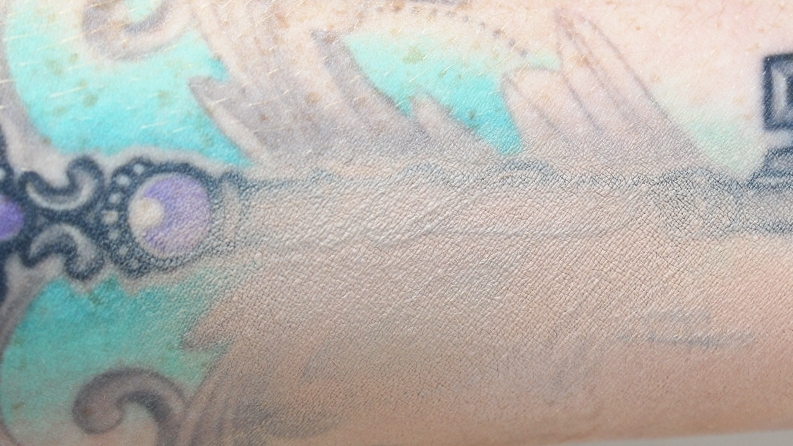 concealing tattoos, highly pigmented spots/scars, etc. 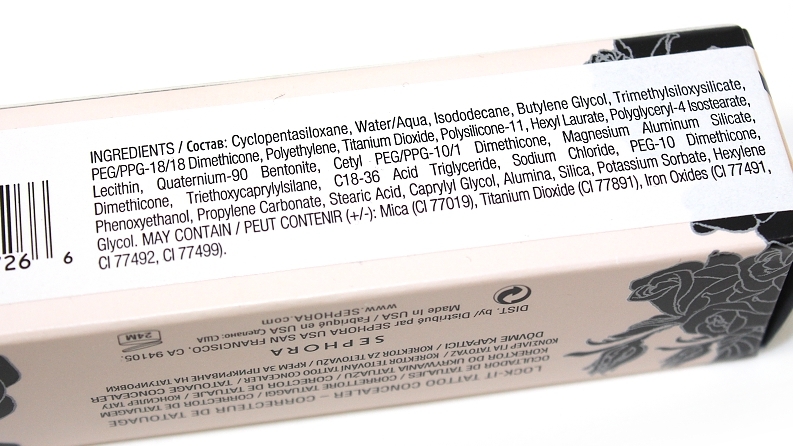 ), the product can end up looking heavy and/or cakey on the skin. This concealer does dry down, but it never completely sets on it's own, so there is a risk of the product moving and transferring lightly. I was hoping this concealer would set to a powder finish, but applying a setting powder or powder foundation over top does help wonderfully. The shade selection could use some improvement—I feel like they tried to cover the skin tone spectrum, but they missed the in-between shades. The shade I picked up is Light 16, which is the lightest shade available. I found it to be too orange and dark for my skin tone, despite it being described for "light complexions with a pink undertone." 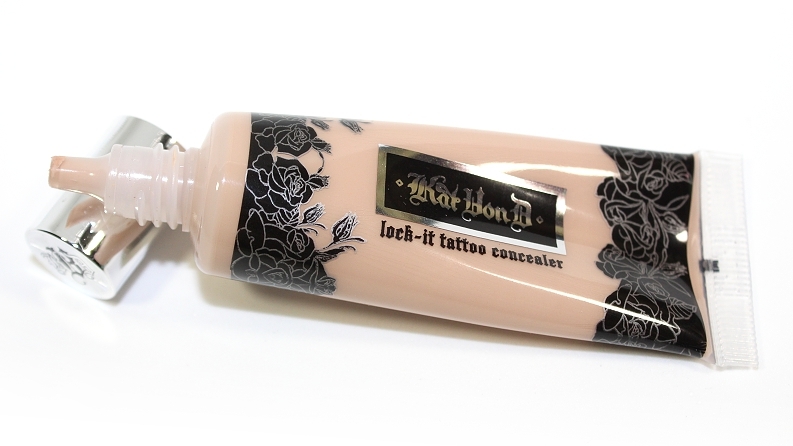 When I used this product to demonstrate covering a tattoo, the shade leaned too warm against my arm which is ever-so-slightly tanned when compared to my face. But, if I were to use one shade up, Light 18 (light complexion with a beige undertone), it would have been too dark. See the frustration? The formula blends out very easily on the skin and does a great job of covering dark circles especially. I'll disperse some product on the back of my hand, use a dense brush and pat the product where desired. Patting the product on gives the most coverage and looks the most natural. You can also use your fingers for maximum coverage and more control, or a sponge to sheer the product out easier. Typically when I apply this concealer, I will spot correct around my nose to conceal any redness, under my eyes to hide dark circles and over any blemishes. After a full day of wear, the product hadn't creased under my eyes, it only lightly settled around my nose/expression line area (this happens with every product) and while it had excellent coverage on initial application on blemishes, over time the concealer started to look unnatural in those problem areas. Overall, this concealer does what it claims—it's long-lasting, highly pigmented and full coverage. The product doesn't move around throughout the day once set with a powder and it doesn't fade over time. My only downfall, once again, is the shade selection. Those of you who struggle to find the right undertones or products that are fair/dark enough for your skin tone, you may not find a suitable shade—which is important, especially with such a highly concentrated product like this. 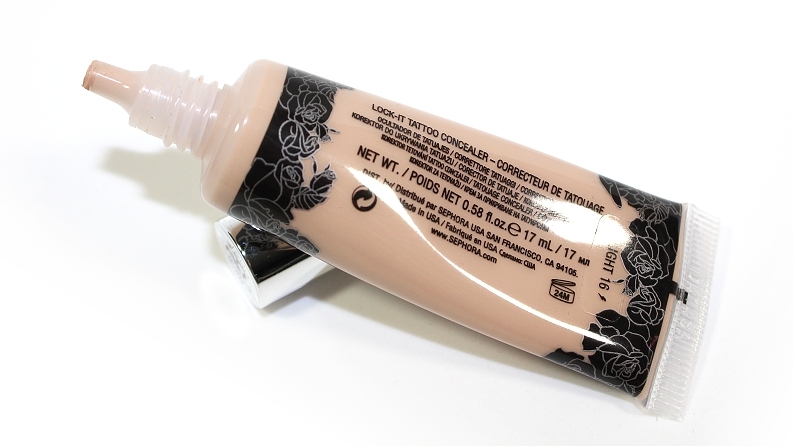 Regardless, if you're in the market for a super full coverage concealer, this line is definitely worth checking out! Disclaimer: All product(s) featured were purchased by me for personal use, post may contain affiliate link(s).